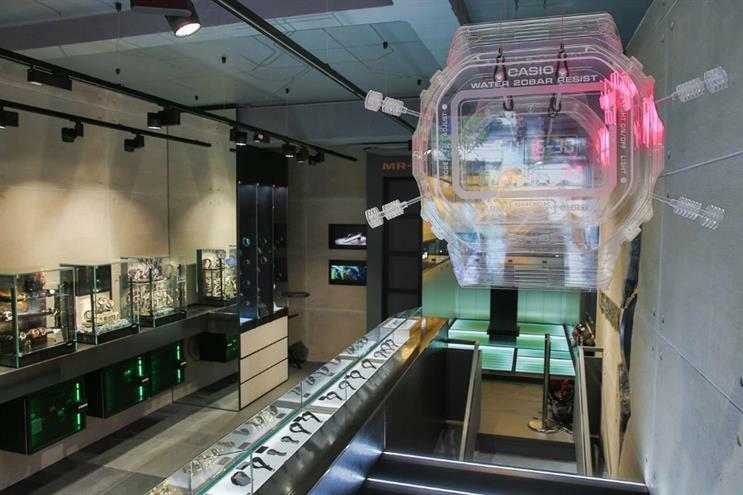 Casio-owned watch brand G-Shock has reopened its flagship store in London's Carnaby Street, which includes a space for events. This month sees the re-opening of G-Shock's Carnaby Street store, which will include a space for the brand to host events. The store spans two-floors. The first floor will allow consumers to purchase the latest styles, collaborations and designs from around the world, while the basement area will be used as an events space. Taking inspiration from the brand's global network of sister stores in New York, Paris, Milan and Shanghai, the new London store aims to pay homage to the brand's history, reflecting the fact that the first ever G-Shock store opened in UK capital. Tim Gould, deputy managing director of Casio UK, said: "We’re delighted to be returning to Carnaby Street and present our new retail space as a hub for burgeoning creativity." In January, Casio hosted a pop-up to showcase its Action in Music initiative. More: In April, Dr Martens opened an experiential flagship store in Camden.